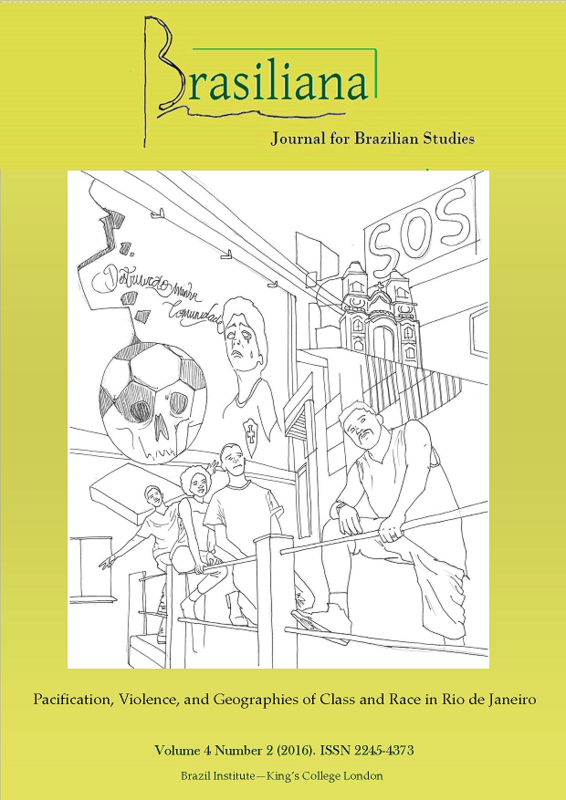 In an era in which Rio de Janeiro has hosted the World Cup, the Olympic Games, as well as some of the largest episodes of protest and violence in its modern history, this special issue of the journal Brasiliana will assess the successes and failures of highly visible public security projects such as the Unidade de Polícia Pacificadora (Pacification Police Unit). This collection will offer new perspectives on emerging geographies of class, race, safety, and danger that have continued to challenge projects of governance and institutions of order. We invite submissions from across the disciplines – social science, humanities, public health, modern history, and the arts. Research should focus on origins and responses to violence and social conflict in the greater Rio de Janeiro area since approximately 2010. We also invite contributions that examine social, community, and religious movements that challenge dominant logics of security or which reflect emergent right- and left-wing visions of inclusion or exclusion. Configurações recentes das favelas cariocas: três cenas da "pacificação"
Ordem, empreendorismo e formalização: as novas funções para a pobreza urbana no Rio de Janeiro Global. Parque Madureira: Exceptional or Merely Good in Comparison? Quando o projeto era moda: projetos sociais, juventudes e a política de “pacificação” no Rio de Janeiro. The misadventures of a narrator and his servant: Machado de Assis and the characters of “A Semana”. Review: Fontes, Paulo; Buarque de Hollanda, Bernardo (ed.). The Country of Football: Politics, Popular Culture and The Beautiful Game in Brazil. Review: Cheney, Glenn Alan. Law of the Jungle: Environmental Anarchy and the Tenharim People of Amazonia. Review: Moraes, Alana; Gutiérrez, Bernardo; Parra, Henrique Zoqui Martins; Albuquerque, Hugo; Tible, Jean; Schavelzon, Salvador (eds.). Junho: potência das ruas e das redes.